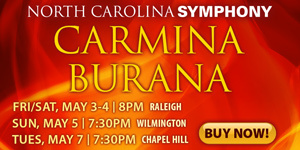 William Henry Curry begins to bid the North Carolina Symphony farewell this weekend with four concerts, two in Raleigh, one in Chapel Hill, and one in New Bern. Twenty years is a long time under any circumstance and a very, very long time for a conductor to stay in one place, but Curry has devoted these years of his productive life to our orchestra and our state and we are all the richer for it. His last Meymandi Concert Hall classical program as Resident Conductor, given as a non-subscription event in this purpose-built auditorium, included a great Tchaikovsky warhorse, the Fifth Symphony, plus his own MLK, Jr., tribute, "Eulogy for a Dream," and his most recent musical assemblage, the Military March of Tchaikovsky, that master's last composition, with a new introduction and supplemental material, all orchestrated in the Russian manner by Curry himself. (A shortened version of this program was presented at mid-day Friday.) These pieces were amply discussed by the Maestro himself in extended remarks offered at Quail Ridge Books on February 25; with luck this talk will in due course appear on YouTube. At Meymandi, in the concert hall, the pre-concert lecture was given by NCSU's Jonathan Kramer. The program began with the lively march, rescued by Curry from pianistic obscurity and so handsomely decked out that it may take its place alongside the much more famous "1812 Overture" (to which it is in places indebted) and the "Marche slave." With its soaring themes, its insistent tempi, its stirring cadences, and yes, with its occasional cannon blasts (rendered electronically on this occasion), this served as a brilliant opener for this "pure Curry" concert. Part two brought Tchaikovsky's Symphony No. 5, of which much has long been written. Celebrated performances linger in the memory, from live concerts and from recordings. Many fine performances have been given in our state, by resident and visiting orchestras. This was among the finest to date, a reading that is sure to stay with those who heard it for a very long time. The reasons for this are many. There was exceptional playing, with the woodwinds and brass in top form and the strings rich and all-enveloping. The depth of the sound, not always a given in this venue, was surely enhanced by the massing of the cellos forward on the right side of the stage (stage left), with the basses stationed just behind and above them. It might well have been a performance for the ages – but for certain it was a magnificent cap of 20 years of significant artistic effort. The audience seemed to sense its importance, for those who stood to applaud were clearly reluctant to let the orchestra and Maestro Curry go. Readers may peruse the official list of the Maestro's accomplishments in the orchestra's press release, reprinted here; this also contains his official statement of farewell. This however merely hints at what he's done here – and what he's meant. Since this is a review and not a stand-alone hymn of praise, let me cite just a few of the greater milestones from his long tenure. First, he was among the African-American pioneers in leadership positions in southern orchestras. 1996 wasn't all that long ago, in the overall scheme of things, but this was a huge deal at the time and has remained so. Second, he moved here and has lived here ever since, unlike today's typical peripatetic absentee landlord. He engaged with his community – our community – to lead youth orchestras, speak at bookstores, attend other musicians' concerts, and participate in significant activities of other arts organizations. Thus he was visible as both an artist and a citizen in the fabric of our society, giving new meaning to the title he bore with a fine mixture of pride and humility: a Resident Conductor he has indeed been. 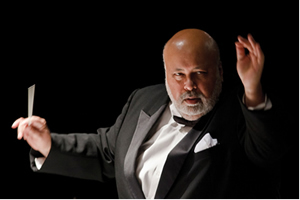 He provided crucial stability and artistic continuity during a potentially hazardous period of transition from the final years of the former Music Director through the lengthy search for his successor and into the new regime of the incumbent senior conductor – and then during the ensuing economic downturn from which many arts organizations are still struggling to recover. In all these things, because he was here, he represented the NCS, serving in a very real sense as the orchestra's artistic face in Raleigh and beyond. And finally, there were all the educational concerts he led across the state, in which he was – again – the face of the orchestra and the principal artistic spokesperson for it. In these crucial roles he flat-out inspired kids across our state. A different face inspired me when I was in grade school, hearing this orchestra, way back when, but the lifelong impact was parallel to what Curry has clearly achieved with considerable frequency. 'Tis said only Ben and Maxine Swalin did as many schools concerts as Maestro Curry. 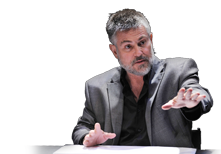 Chances are Curry touched far more lives, however, for the schools are bigger now and the orchestra's approach to its teaching mission is more systematic and comprehensive. All the things he's done so well with and on behalf of this orchestra have helped inspire our citizens to love and cherish this artistic organization, reaching far beyond the evening concerts it plays. Of course, there were many, many superb evenings WHC himself gave us, over time. He is in truth a musician's musician and an honest conductor, too. There can be no higher praise. Fortunately, he will continue to serve the arts here, for he remains Music Director of the Durham Symphony Orchestra and a lecturer in music at William Peace University. The program distributed at this Tchaikovsky concert reveals he will conduct the season's last pops concerts, three presentations devoted to the "Rat Pack" in May that had previously been announced for another conductor. He leads a single Summerfest concert on June 16 before relinquishing his title of Artistic Director of that admirable series, and he returns to the NCS as a guest conductor next February with a program featuring Ives' Symphony No. 2 (details pending). He also has music to write! 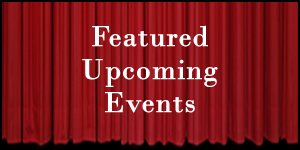 And meanwhile the program under discussion here will be presented tonight (March 5) in Chapel Hill and tomorrow (March 6) in New Bern. For details of both, see the sidebar.